Each and every American is affected by a mental health condition through friends or family. Why? Because 1 in 5 Americans will be affected with a mental health condition in their lifetime. 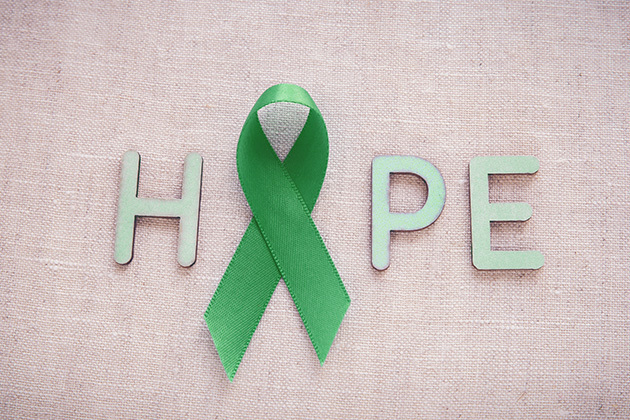 Throughout the month of May — Mental Health Awareness Month — organizations worldwide raise awareness for the importance of mental health. Whether it be stigma, support, education or advocacy, the movement grows larger and stronger each year. This is year is a little different, though, with the controversy surrounding the latest Netflix series "13 Reasons Why." The show, based a book by Jay Asher, depicts teen suicide, bullying and sexual assault. The story revolves around a teenage girl named Hannah Baker who leaves behind 13 mysterious audio recordings about killing herself. In each, she addresses a specific person who she says played a role in her decision to end her own life. The story took people by surprise as they could relate to one or more aspects of the "high school life." "Had I been watching that as the vulnerable, fragile kid that I was when I was 13 or 14, I might have watched that and thought, 'Oh, that's the easy way out. This is going to get me the attention that I need. This is what I have to do,'" Alexa Curtis, a former victim of bullying, said to CNN. Resulting in about 4,600 deaths each year, suicide is the third-leading cause of death for youth between the ages of 10 and 24, according to the CDC. In fact, each year, about 157,000 of youths between the ages of 10 and 24 are reported to receive medical attention in emergency departments for self-inflicted injuries. Dr. Harold Koplewicz told Today that the problem with the show is that suicide seems glamorous and effective to troubled teenagers who feel helpless and hopeless. Though the show has received incredible ratings and has become the most talked about program on Twitter this year, mental health professionals are speaking out as they feel it is dangerous to glamorize suicide. "We feel it was done irresponsibly, and we don't agree with many portrayals, including of Hannah's death, memorialization and placing blame on others," said Phyllis Alongi, clinical director of the Society for the Prevention of Teen Suicide. Alongi told NBC News that she knew Netflix wasn't going to pull the show even despite the backlash. Because of this, she made herself watch the entirety because she knew she would be having to address questions regarding it. "Suicide is not someone else's fault," National Bullying & Cyberbullying Expert and Speaker, Ross Ellis, wrote in The Huffington Post. "Most teen suicides are contagion behaviors. Connecting suicide to bullying can be detrimental. I won't say that all teen suicides aren't due to bullying, but many result in mental health and other issues." A nationwide survey of high school students found that 16 percent of students seriously considered suicide, while 13 percent created a plan and 8 percent actually attempted to take their own life. As children binge watch "13 Reasons Why," they will need someone to help them process it. The JED Foundation and SAVE developed talking points to assist parents, teachers and others in talking to youth about suicide as it's depicted in the show. "As a mental health professional and someone who works with kids, it's cringe-inducing, but it was scripted that way and kids need to know that," Alongi said. Though this may seem like backlash to the show, Netflix is in support of the talking points. The company even posted the points on the "13 Reasons Why" website, along with crisis services and a link to additional information about mental health. Millions of children worldwide are afraid to speak up about their mental health disorders, and the Child Mind Institute is addressing it. Now in its seventh year, the campaign — Speak Up for Kids — shares messages of hope and courage from athletes, celebrities and politicians about growing up with a mental health or learning disorder each day in May. Its impact will raise public awareness and help end the stigma to these disorders, the Child Mind Institute states. Just as the initiative implies, it's important to know that you do have a voice, and it's time to start the conversation about all mental health conditions.